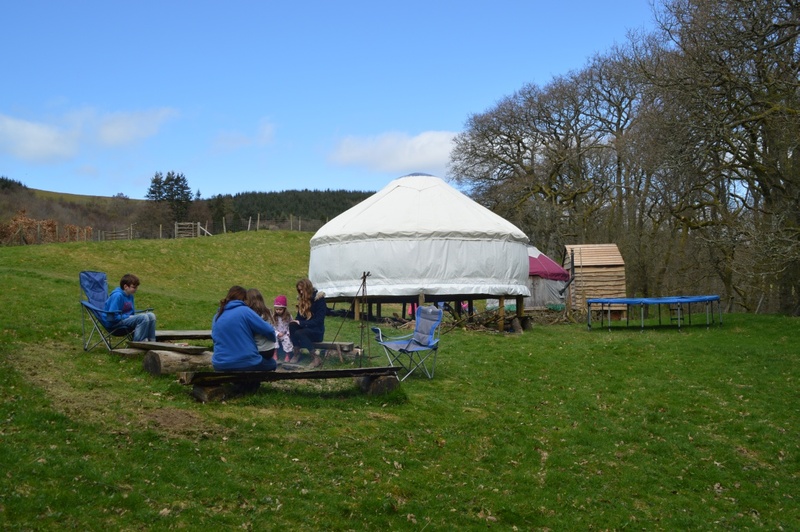 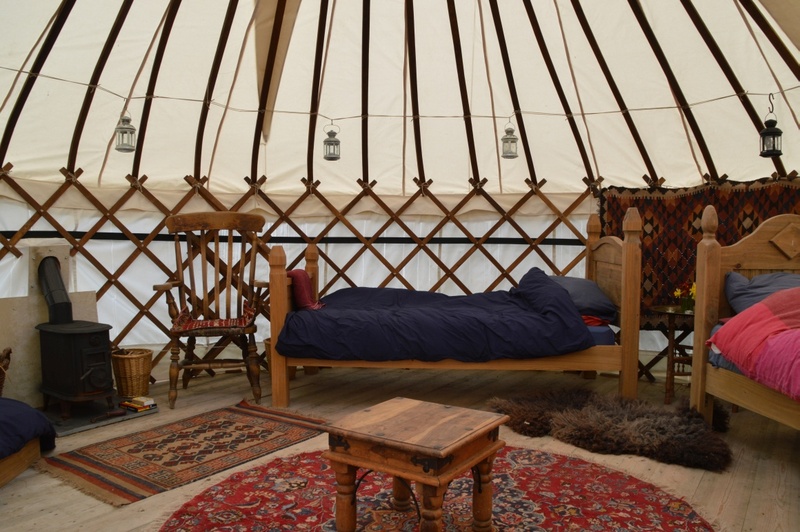 The Welsh yurts are let out as a pair – perfect for extended families with grandparents or teenagers! There is a compost loo next door too. 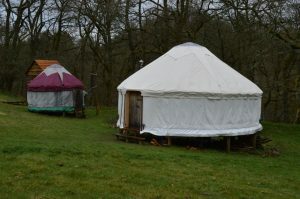 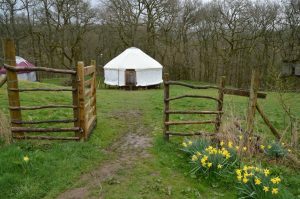 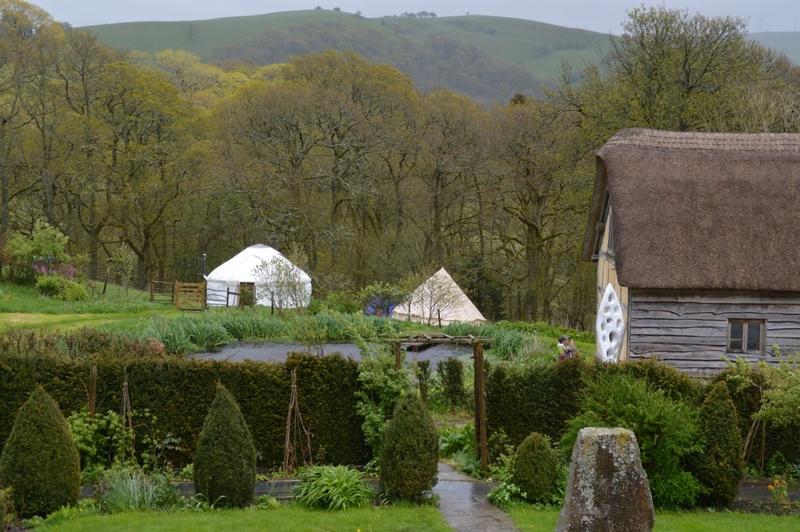 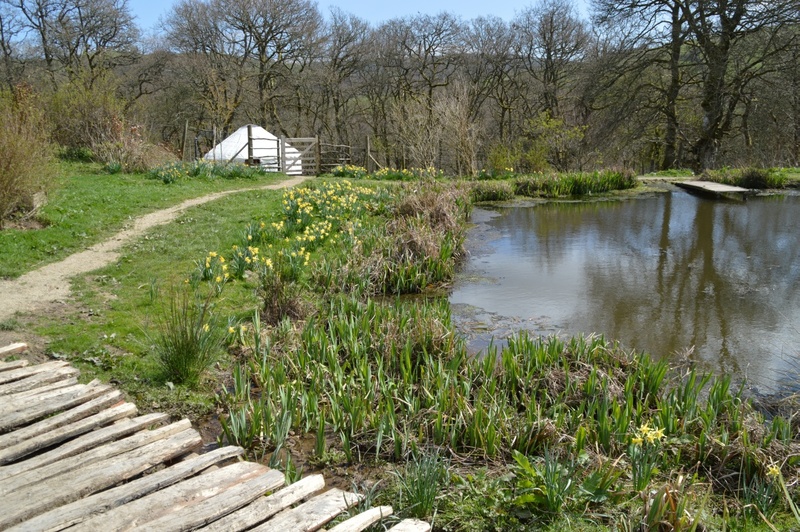 The yurts are set in their own little field on the edge of the woods. 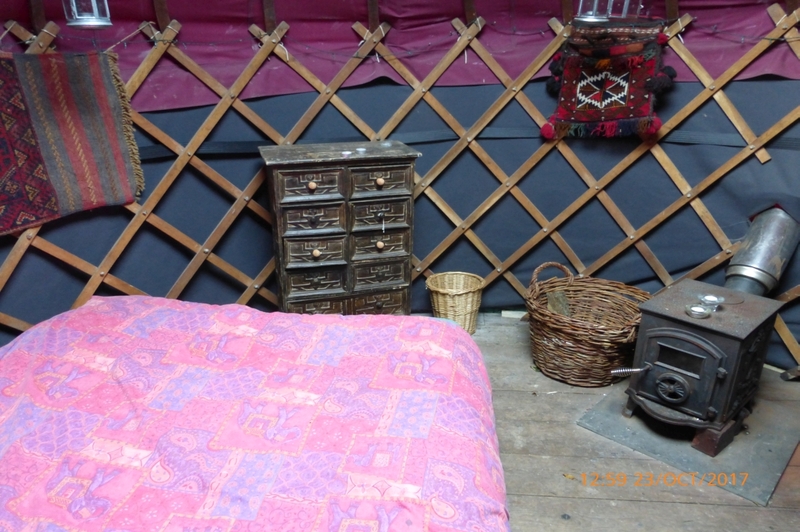 The small one has a small double futon, (made up) and a wood burning stove. 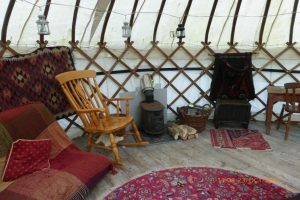 The large one has a wood burning stove, a double bed which will be made up and you can bring extra duvets or sleeping bags to go on the futon and two spare mattresses. If you have a baby you could probably fit an extra in the bed. 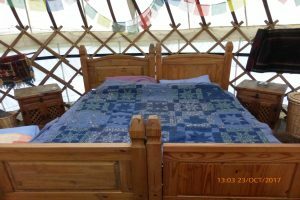 There is no electricity – just tea lights. 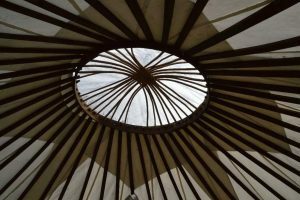 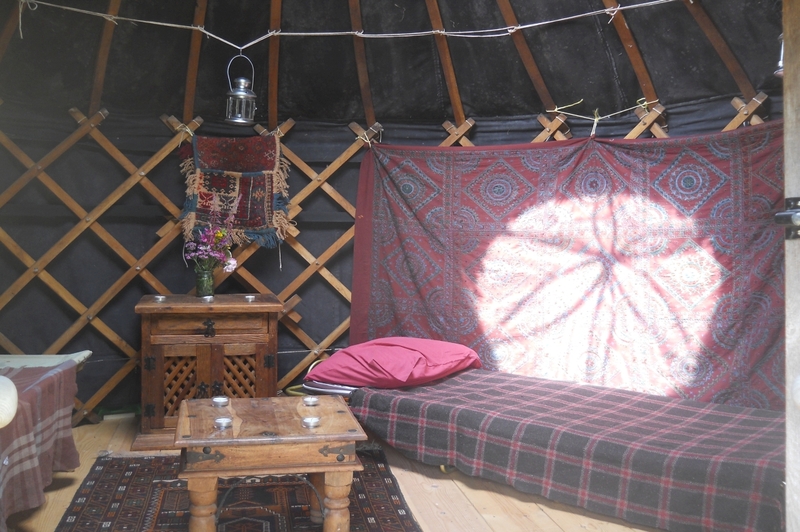 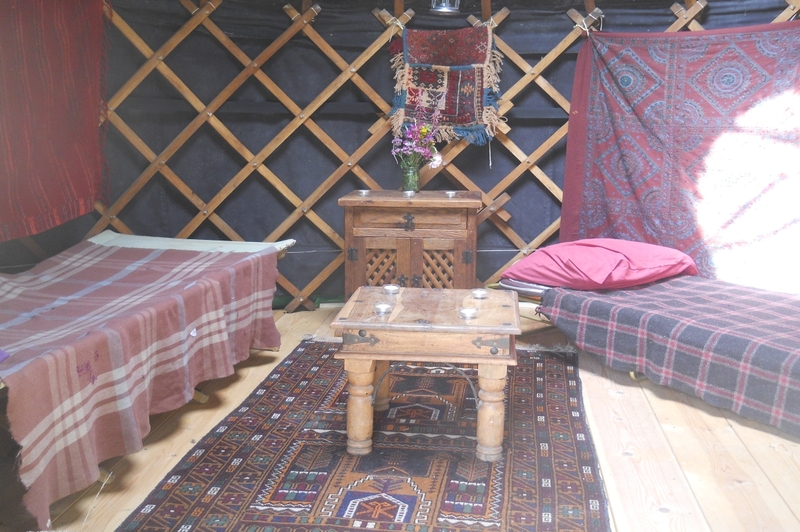 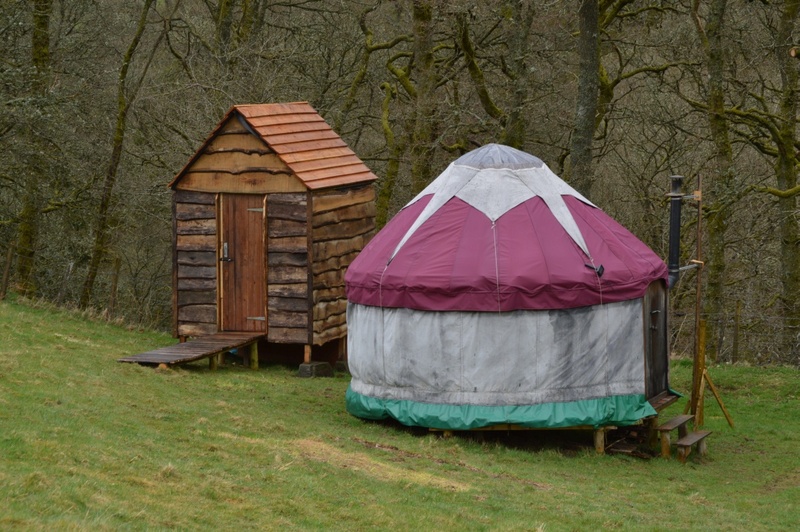 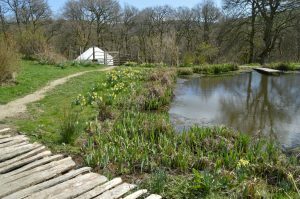 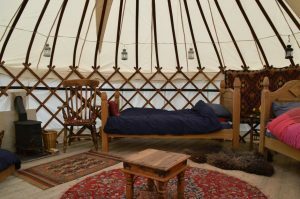 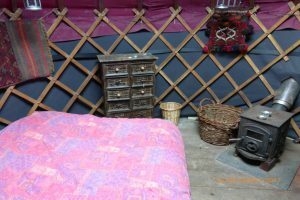 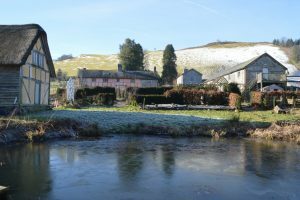 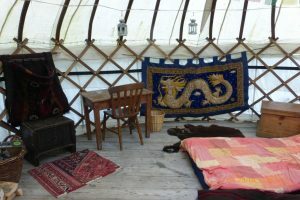 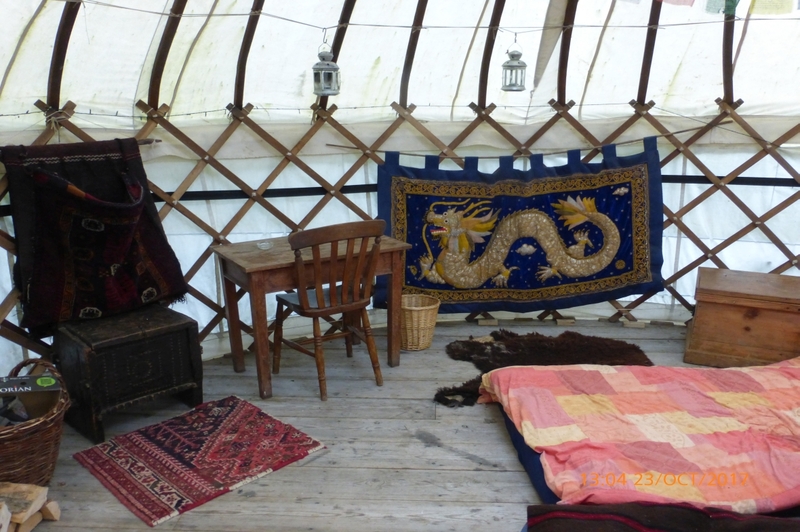 The price for the pair of yurts is £550/wk or £360 a short break in high season, £360/wk or £250 for a short break in low season. Fridays and Mondays are changeover days – you can book from one of these.